Nội Bài International Airport (IATA: HAN, ICAO: VVNB) (Vietnamese: Sân bay Quốc tế Nội Bài) in Hanoi, the capital of Vietnam, is the largest airport in Vietnam. 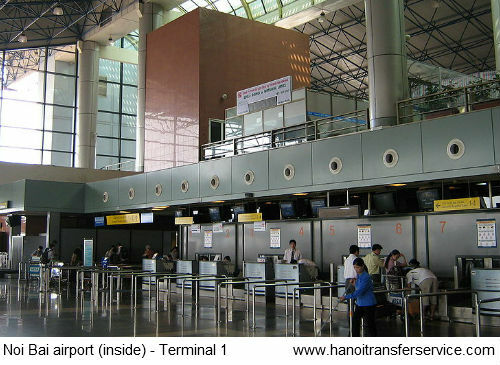 It is the main airport serving Hanoi, replacing the role of Gia Lam Airport. The airport consists of two passenger terminals. 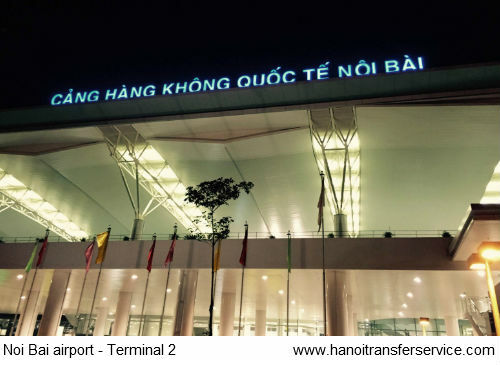 Terminal 1 serves the domestic flights and the newly built Terminal 2 (inaugurated on the 4th of January 2015) serves all international flights to and from Hanoi. The airport is currently the main hub of the country’s flag carrier Vietnam Airlines as well as a major hub of low-cost carriers Vietjet Air and Jetstar Pacific. 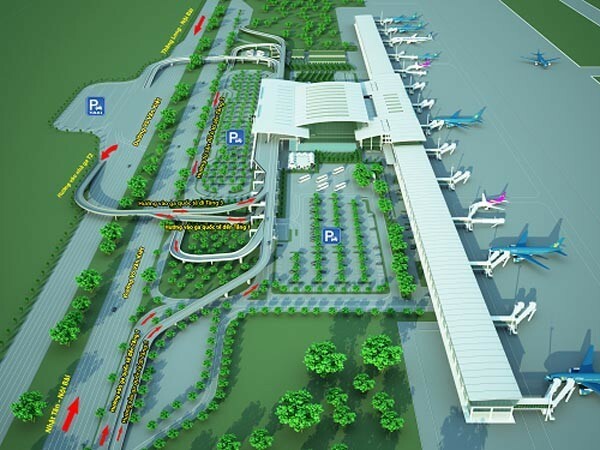 The main airport that serves Hanoi and many surrounding Northern provinces is Noi Bai International Airport (HAN). 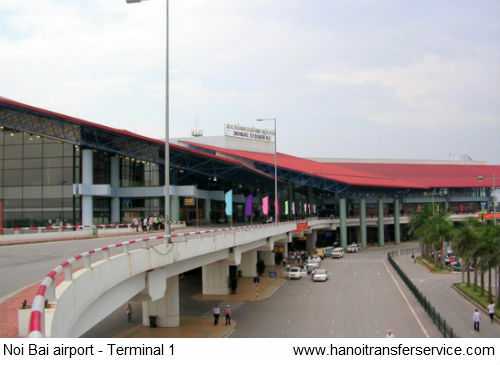 The airport is located about 30km from city center, in the middle of a rice paddy field suburban area that once belonged to Vinh Phuc province. Noi Bai is located 30kmnorth of Hanoi City Center. Travel time between Hanoi Old Quarter and Noi Bai Airport is about 1 hour or 45 minutes without traffic. For driving, you can reach the airport via Nhat Tan bridge or Thang Long bridge. Terminal 1 (the old airport): the old airport is now used for domestic flight only. It is connected with E Hall which is a freshly built terminal at the airport. The first floor of the hall is arrival lobby. You can find currency exchange booths, airport taxi services and information booths on this floor. 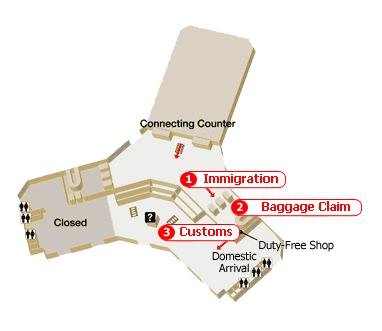 The second floor has departure gates and check-in areas for domestic flights. Boarding gates from 2-5 is on the far left of the airport and boarding gates from 6-10 is on the far right. In the middle and near the elevator is the border police control door. The custom declaration form has been abandoned for all outbound travellers as of September 2010. The airport top floor has several restaurants and bars that serve breakfasts, lunches and dinners. The food is decent and inexpensive but do not expect an international selection. The T2 Hall was brought into use in early 2015 and serves all international routes. There are a total of 4 levels: first level being arrival hall, third level being departure hall and the second and fourth level hosting a number of food vendors. As you step down from an international flight, you will be passing through immigration office first – this is where you pick up your visa on arrival. If you already have a visa you can go straight to Customs, have your passport scanned and go to collect your baggage. I am looking for a restaurant in Noi Bai airport (inside the airport, not going out through custom). We’ll be stopping at Noi Bai for 4 hours before going to Vientiane. We have a surprise birthday party for a member in our group and need a place to celebrate before arriving Laos.